This beer is driving me crazy! I bought it at Trader Joe’s, which is known to supply good, inexpensive beer, and have some that are exclusive to the store. I have never seen or heard of Kennebunkport Brewing Company until I went to this store. I searched this brewery name when I got home, and I did not find a website for Kennebunkport Brewing, but instead it leads me to Federal Jack’s Restaurant & Brewpub. On this site it says that the beers available at this restaurant are hand-crafted at the Kennebunkport Brewing Company (KBC) directly beneath Federal Jack’s. OK, cool, makes sense, I guess. Now when I scroll through the beer list on this site to get more brewing info on this beer, I see none of the KBC beers listed. Instead I see beers listed by Shipyard Brewing Company. Confused yet? I am! On the front page of the Federal Jack’s site it even says “Birthplace of Shipyard beer.” Shipyard is also a family member to Sea Dog Brewing Company. None of the websites visited, Federal Jacks, Shipyard, Sea Dog, Trade Joe’s has any info on the beer line that says KBC on the label. I feel as confused as a college douche bag kid thinking Third Shift is a great example of a craft beer! Doh…. Despite all the confusion behind the brewery who actually brewed this, surprisingly, I did not hate this beer. I used an old pint glass that I had recently found in a box, a New Castle pint glass. The beer poured a nice slightly hazy amber color with a thin finger wide off white bubbly head, which quickly diminished down to a thin ring around the edge of the top of the beer, leaving a sparse, spotty lacing. The aroma is quite nice with this one. There is a lot of sweet, light fruitiness and hoppiness coming through. There are hints of citrus, and some earthy notes with a very faint finish of banana. The taste of this beer is also rather nice. It’s much like the aroma. There are flavors of some citrus, and some earthy pine-like flavors. I can also pick up a bit of a caramel maltiness. Just like the aroma, the finish of this beer leaves a slight banana-like flavor in my throat. The body is medium thickness and crisp. There is good carbonation with this beer. Overall, I will say that I do not hate this beer, but I will definitely not go out of my way for another round either. 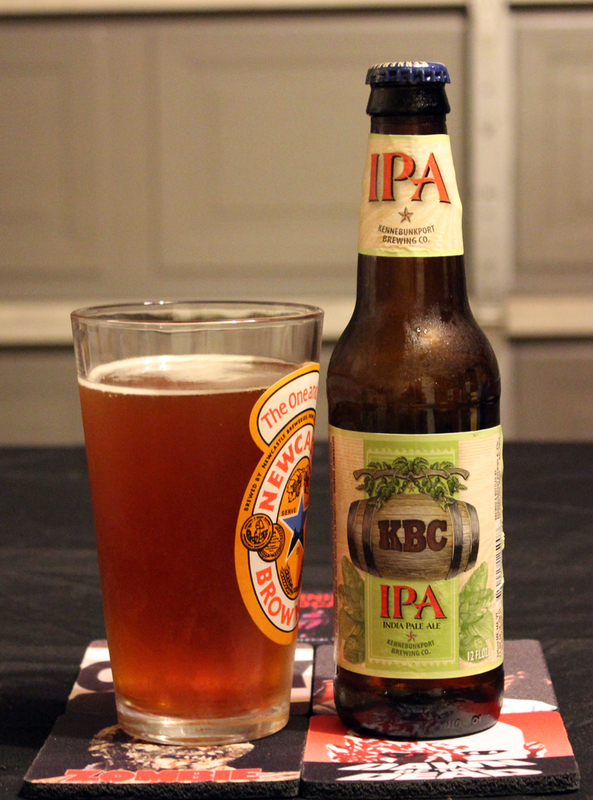 There are far more superior IPAs on the market. For the low price a 6 pack at Trader Joe’s, and for the fact of adding another bottle to my collection, I am glad I tried this. I do hope that non craft beer drinkers find themselves at Trader Joe’s and picks up these inexpensive examples of different styles of beer than they’re used to. Awesome for an introductory IPA. Metal Connection: With this beer, I chose a classic song called “Institutionalized” by the band SUICIDE TENDENCIES. I went with this song, cause I felt like I was going crazy when doing my research for this beer. Such a tangled spider web of info on who and where this beer is actually crafted.